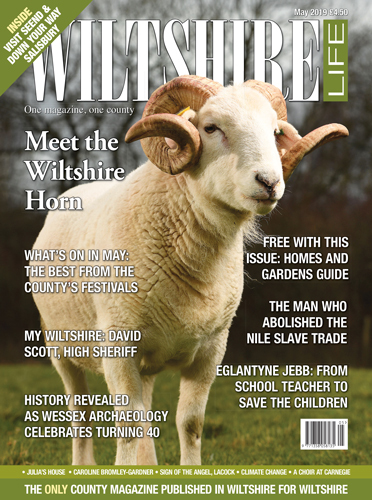 We meet David Scott, the new High Sheriff of Wiltshire, and the keepers of the Wiltshire Horn sheep, a hardy, heritage breed. We find out how Katy Allberry is helping to save Malaysia’s tigers. Our heritage series continues with hat block maker, Owen Morse-Brown. 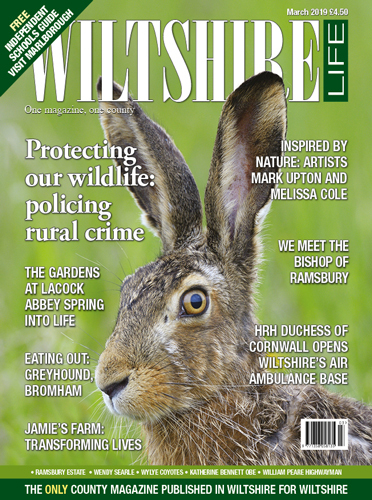 We delve into history with Wessex Archaeology as it celebrates 40 years. The Big Breakfast Plus is helping homeless people in Swindon. 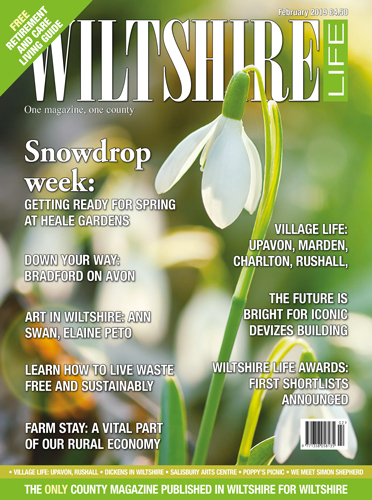 The Wylye Valley Art trail returns with its biggest event yet. From Sutton Benger to Carnegie Hall, a village choir success story. Julia’s House continues to have a huge impact on family life. ‘What would you save…?’ we ask the county’s museum curators. Caroline Bromley-Gardner is an exceptional artist. Eating out at the Sign of the Angel, Lacock. The remarkable story of Sir Samuel Baker, and how he abolished the Nile slave trade. Seend is a tranquil village that hides an industrial past. 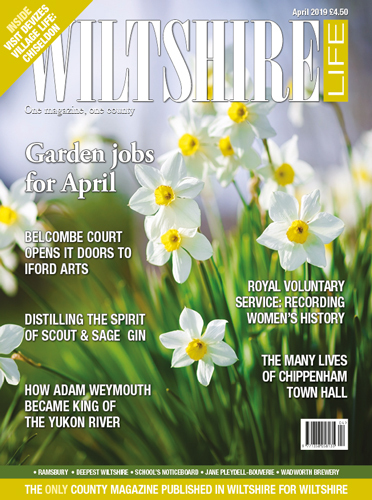 May really does feel like the time when the natural world is warming up and waking up, and what better way to celebrate then with some of this month’s biggest festivals: inside we take a look at Salisbury International Arts Festival, Chippenham Folk Fest, Devizes Arts Festival and more. 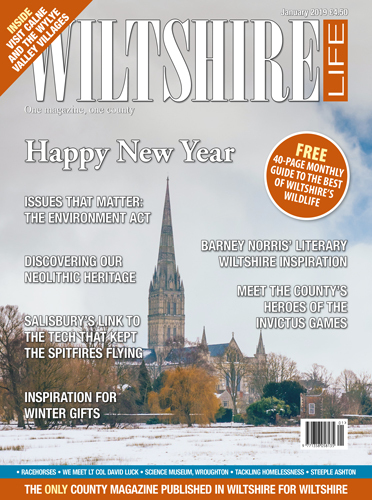 We have an extensive Down Your Way, featuring Salisbury. Having finally been given the ‘all clear’ there is no better time to celebrate this wonderful city.